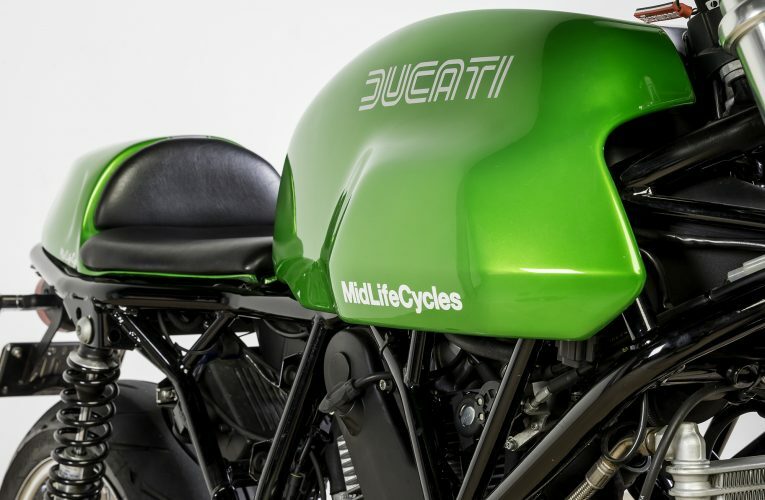 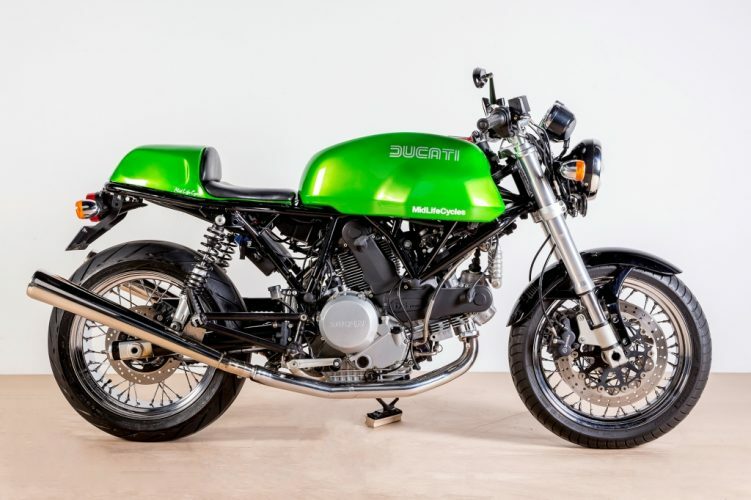 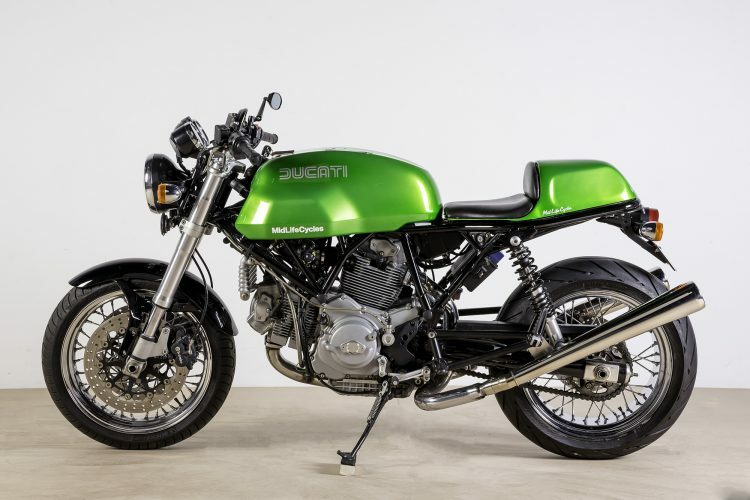 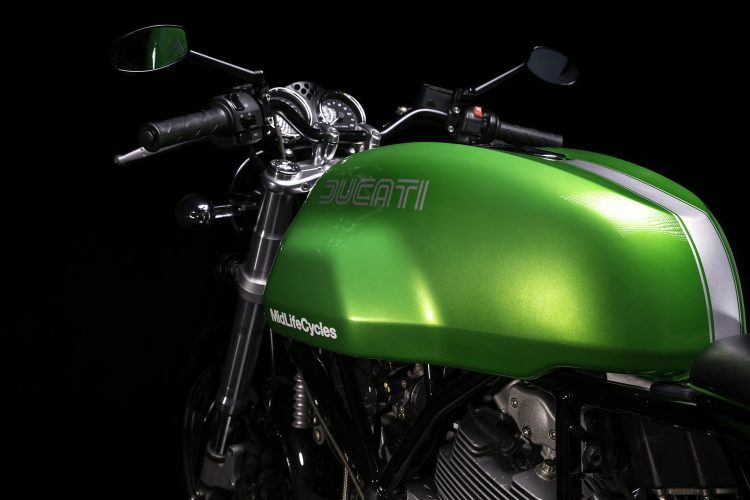 The Mid Life Cycles Ducati Mille Speciale : custom bodywork, Ikon suspension, Conti replica exhausts, performance ECU. 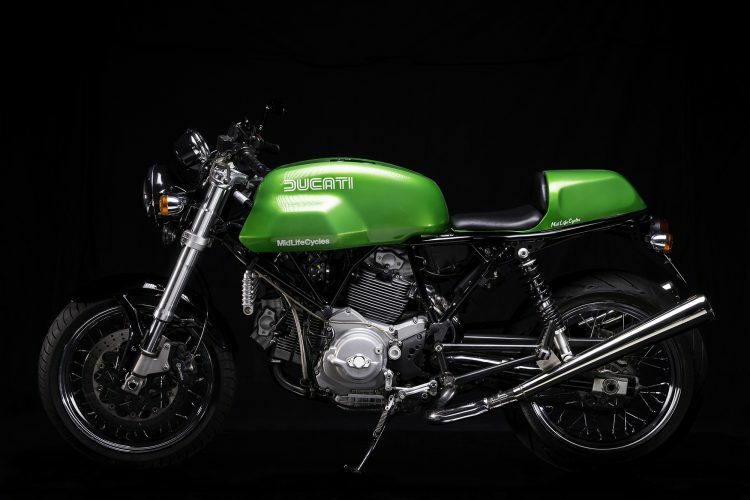 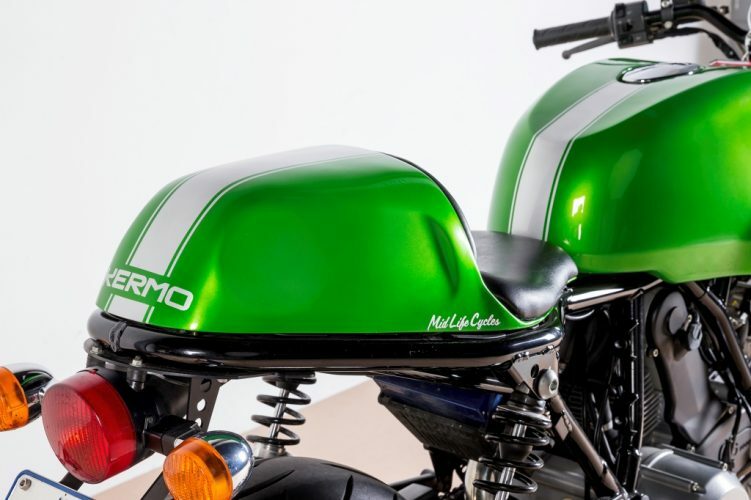 We love the current trend of retro style bikes the various manufacturers are producing. 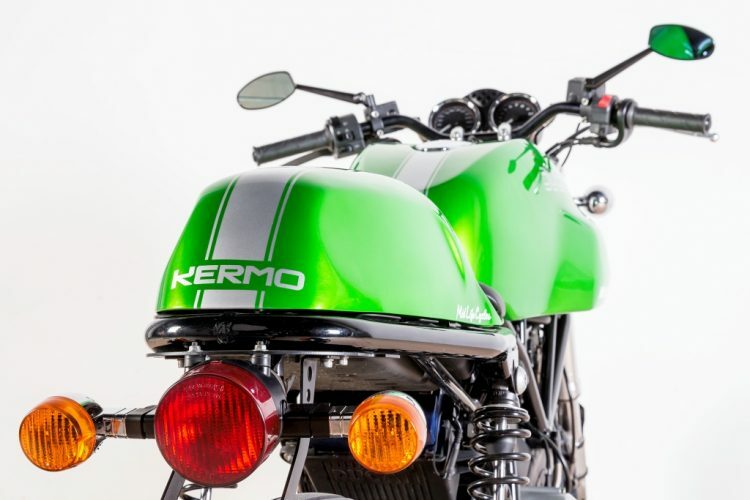 We thought we’d build our own variation on that theme and the result was this lean green machine, immediately christened Kermo. 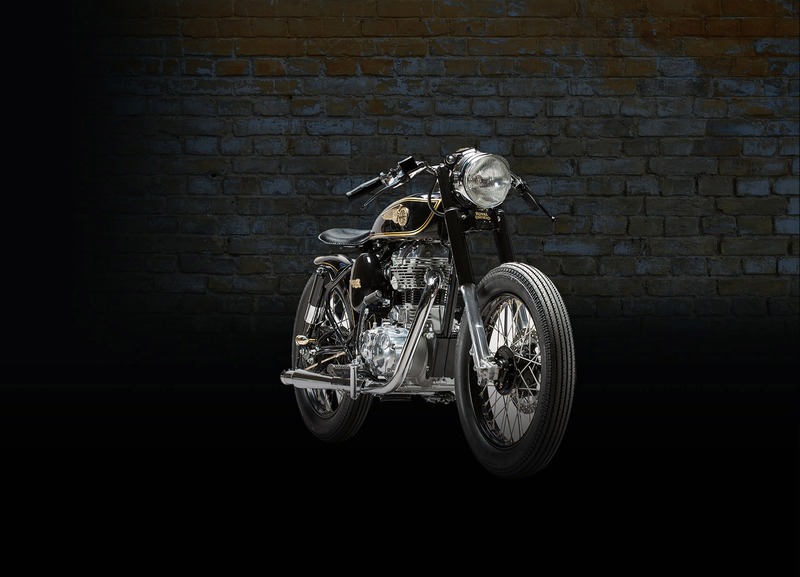 It looks mighty fine, and sounds even better!